Don’t for a second think your lunch is safe just because you’re eating it at a restaurant. Turn your back for just a second and your bowl of guac and rice could be snatched out from under you, unless you happen to be eating it with a tactical plastic spork that’s hiding an intimidating looking knife inside. Just because this $7 spork is made from the same food-grade plastic as the cutlery given out at fast food joints doesn’t mean you’d want to find yourself on the wrong end of it. 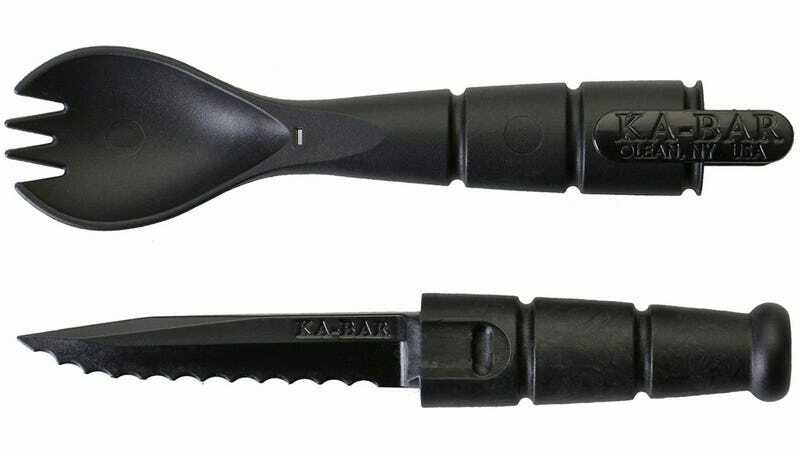 Its 2.5-inch serrated blade is strong and sharp enough to make short work of steak, so it should serve as an effective deterrent, as well as a handy camping accessory when you’re trying to pack light.